Please allow me introduce myself. 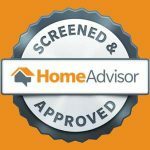 My name is Tom Dodson, and I am here to make your life as a property owner easier for you. I am the owner and founder of Dodson Foundation Repair. We appreciate your business and are delighted to have the pleasure of working for you. As a company, we have over 40+ years of service and experience to offer our customers. Our repair work is certified, bonded, and insured, and we guarantee each of our customers that we will work hard and efficiently while caring for your home. In the world of foundation assessment and repair, there are many companies out there who are only looking to get the job done quickly so that they can get paid and move on. There is little care or concern for the interests of the customer and the dire foundational needs of their property. Often, corners are cut and poor quality of work is performed on crucial repairs that will affect the longevity and overall quality of your home. For these reasons, many foundation repair companies are given a bad reputation and assumed to be a fraud and a cheat before being given the chance to prove themselves otherwise. At Dodson Foundation Repair, we take pride in being the diamond in the rough, the company that has high regard for customer satisfaction and a dependable work ethic. Even if other foundation experts in our area are considered to be a waste of time and money, we are not! We care deeply for our customers and the issues that lie beneath and within their homes. After all, this is the prized investment that houses some of our greatest treasures. We know that foundation issues can create a host of serious and long-term problems if not cared for properly, and we utilize all of our years of experience and wisdom in this field to make sure that we eradicate such problems or prevent them altogether. We pride ourselves on the level of responsiveness and accountability in every phase of project development, from beginning to end. 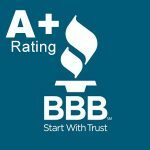 We are A+ rated with the BBB, and we have a plethora of testimonials from satisfied customers who plan to either use our services again in the future or recommend our company to family and friends. We have developed a solid customer base because of our many years of putting quality service at the top of our priority list. We aim to respond quickly to the inquiries and needs of each customer and to take a long and careful look at each problem that is presented in regards to concern with the foundation. Some problems are obvious to spot, whereas others require a keen and professional eye and special equipment to assess just what repairs need to be made. I want to thank you for choosing our company for your foundation needs. If you have any questions or comments, please do not hesitate to contact me personally at the above referenced number.